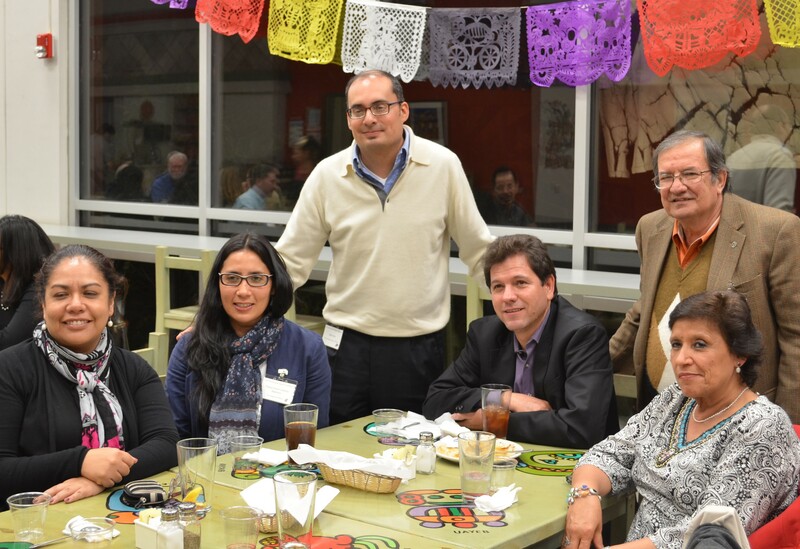 In August 2014 the UTEP History Department decided that they wanted to host a binational/bilingual borderlands history conference to showcase the growing doctoral program given its location on the border. 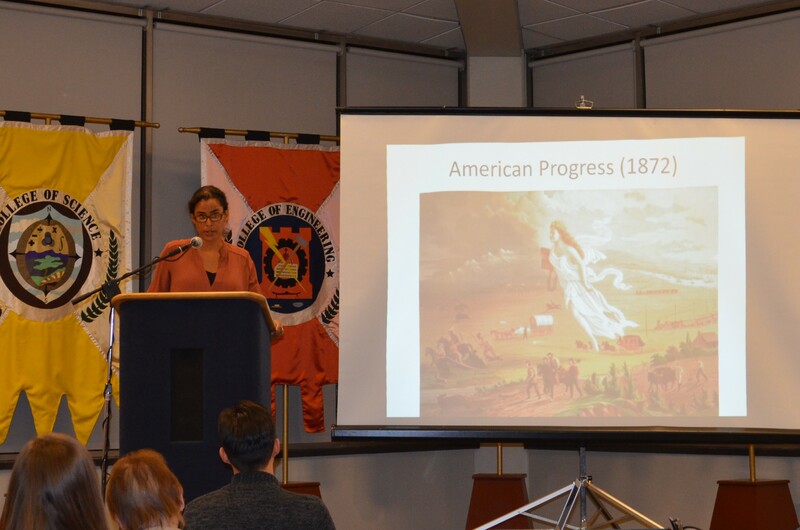 Heather Sinclair, a doctoral candidate in the borderlands history program, was brought on to plan and organize the event which would take place one year later in November 2015. As the concept began to form, Chicano historian Ernesto Chávez suggested a broad theme that would help to bring scholars from both sides of the line together. While Latin Americanists have long articulated theories on the significance of the state during the colonial and national periods, U.S. historians have long danced around its significance. In the spirit of emerging histories about the state—think Margot Canaday’s The Straight State—as well as a larger discussion about the state of borderlands history, Chávez suggested the State in/of Borderlands history as the conference theme. 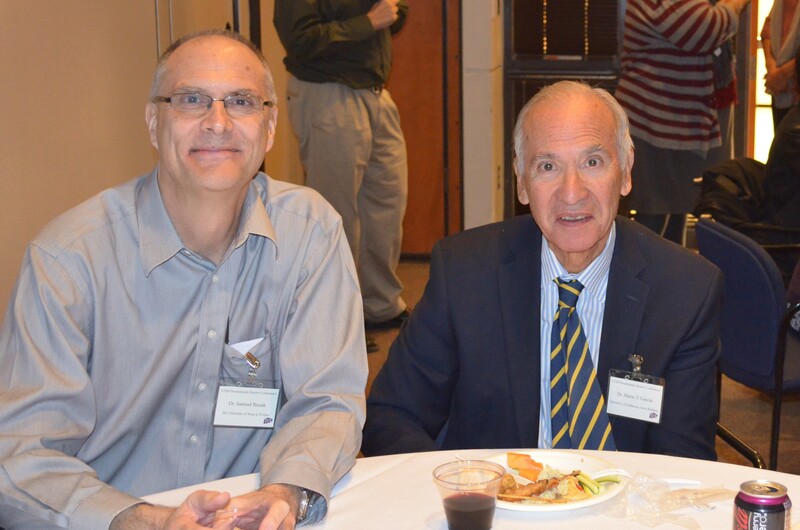 UTEP History faculty members formed a committee to help steer and coordinate the conference. 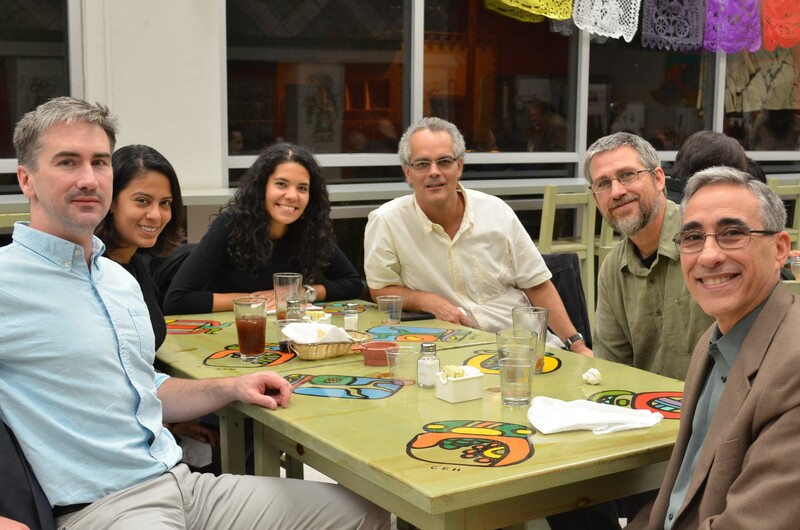 Sam Brunk, Yolanda Leyva, Jeff Shepherd, Paul Edison, Ignacio Martinez and Heather Sinclair met over weeks and months to discuss the call for papers as well as the other activities that the conference would offer to all those attending. Over sixty proposals were received for the first annual borderlands conference, and the committee read and grouped papers in order to advance the theme of the meeting. In the end 14 papers were chosen. While there were great papers from borders around the globe, the committee wanted to focus primarily on the U.S.-Mexico line in order to highlight the location of UTEP as a border institution. 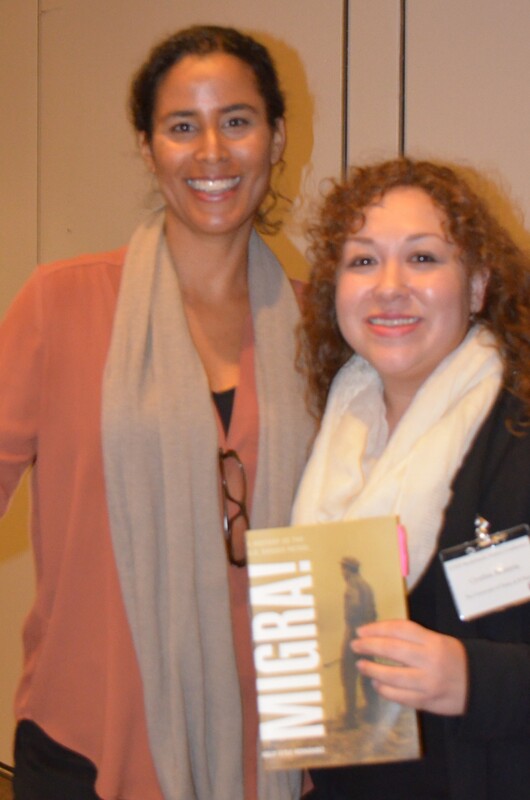 Chávez recommended Kelly Lytle Hernandez (UCLA), author of MIGRA! : The History of the U.S. Border Patrol, as the keynote speaker. Her studies underscore the significance of state actors, particularly the emergence of the border patrol and also her current work on the use of incarceration on the U.S. side of the line, as foundational to the creation of the borderlands region. Putting together a conference is never easy, with support from the Graduate School and the conference committee, Sinclair balanced the logistical aspects of lodging, food, and meeting space, with questions about abstracts and paper deadlines, panel chairs and commentators, and volunteers. There were many volunteers, mostly doctoral students from the Borderlands History Program, who worked to create the poster and the program, as well as during the event. Over the course of the year committee members took on different roles in the department, Leyva ended her three years as history department chair and Brunk began his with a seamless transition. 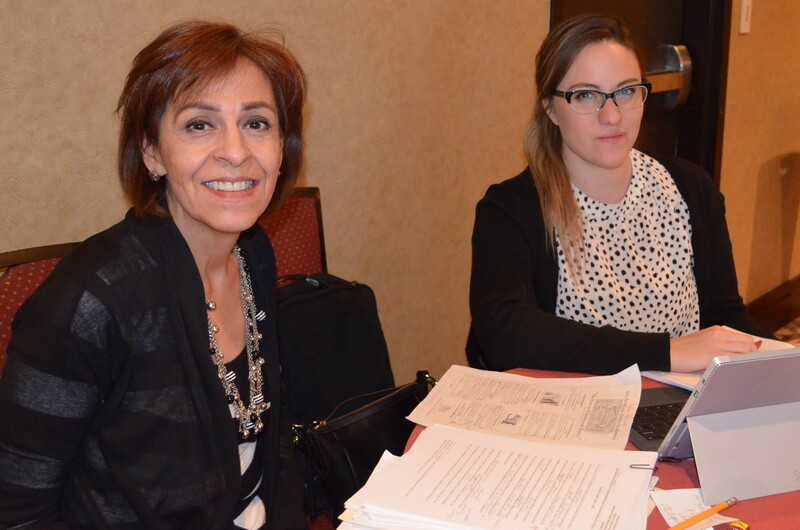 Their borderlands expertise and overall investment in the conference helped to move things forward. As the conference approached, scholars registered and program notes were fine tuned. The conference was a two-day event overflowing with panels and discussions about the state. Lytle Hernandez kicked off the event with a fantastic keynote address held at UTEP’s El Paso Natural Gas Conference Center that traced our contemporary crisis of over incarceration to its origins in the borderlands. 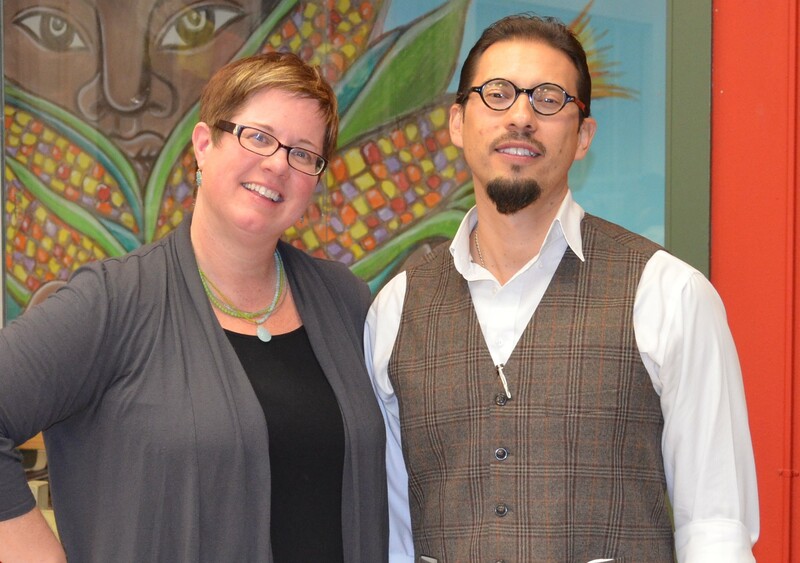 In the vein of Michelle Alexander’s book The New Jim Crow, Lytle Hernandez shifted the discussion to understand the genesis of ethnic Mexican incarceration in the United States. The Immigration Act of 1929, championed by Senator Blease, not only criminalized the migration of ethnic Mexicans into the United States, but also the incarceration of Mexicans, Lytle Hernandez argued, further racialized them as permanent foreigners in need of removal from the body politic. Using settler colonial theory that posits land acquisition—the formation and reproduction of colonizers social structures on stolen land—as the ideological framework for understanding mass incarceration of ethnic Mexicans in the early twentieth century, Lytle Hernandez discussed the creation of La Tuna, in Anthony, New Mexico and blank prison in Arizona as the first major federal prisons designed to incarcerate immigration violators along the U.S.-Mexico border. 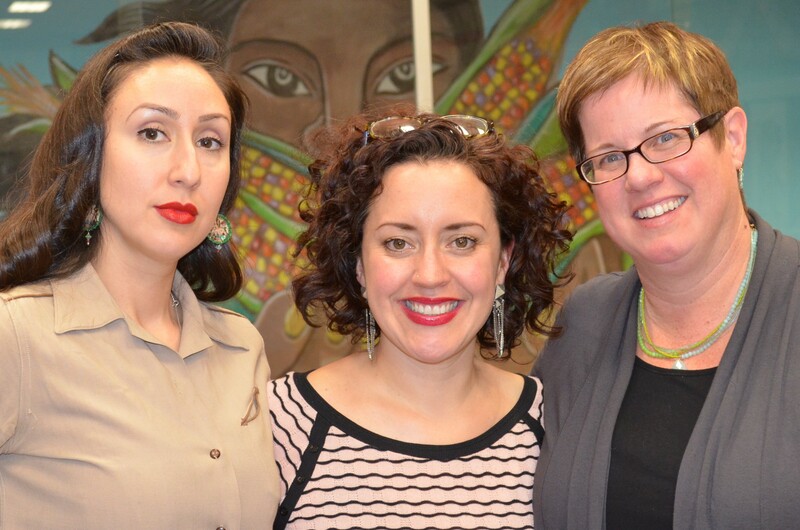 Her passionate call for greater study of and activism against the grave crisis of migrant incarceration in the borderlands, left many graduate students feeling energized and euphoric as we celebrated Lytle Hernandez during the evening’s reception. 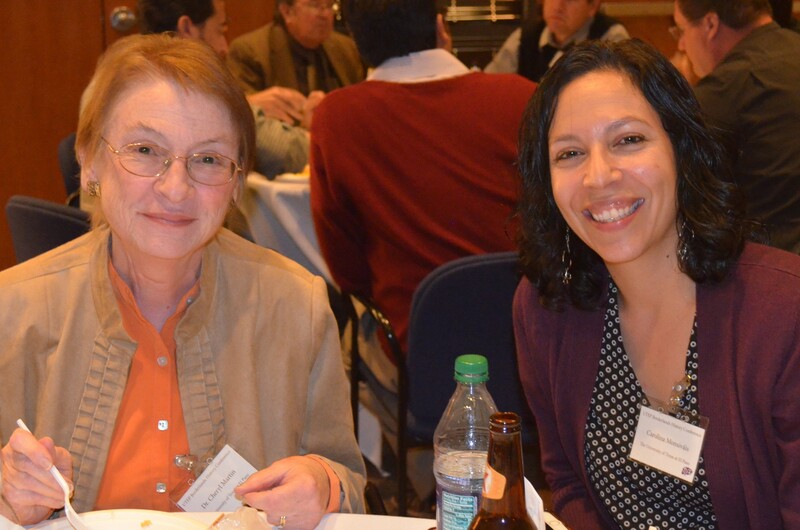 The wine flowed and the food was plentiful as Mexican and U.S. scholars of the Borderlands were introduced or reconnected during the festivities. 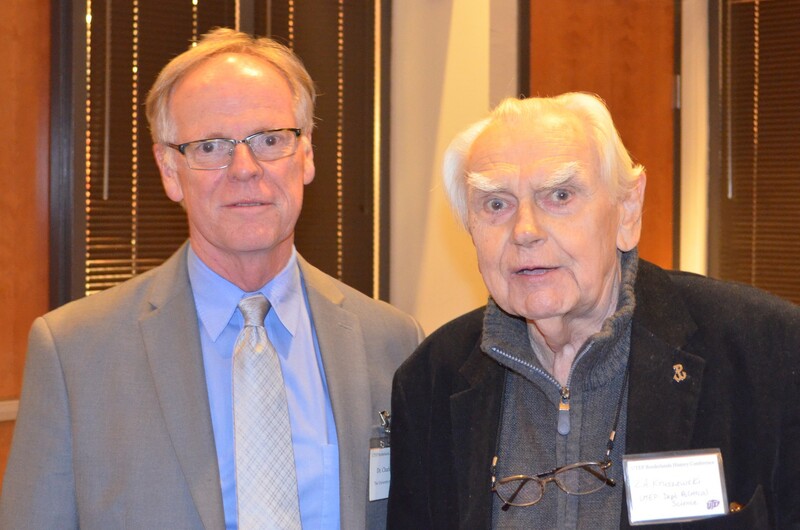 Students socialized with each other and waited to speak with the many prominent historians that attended the event. 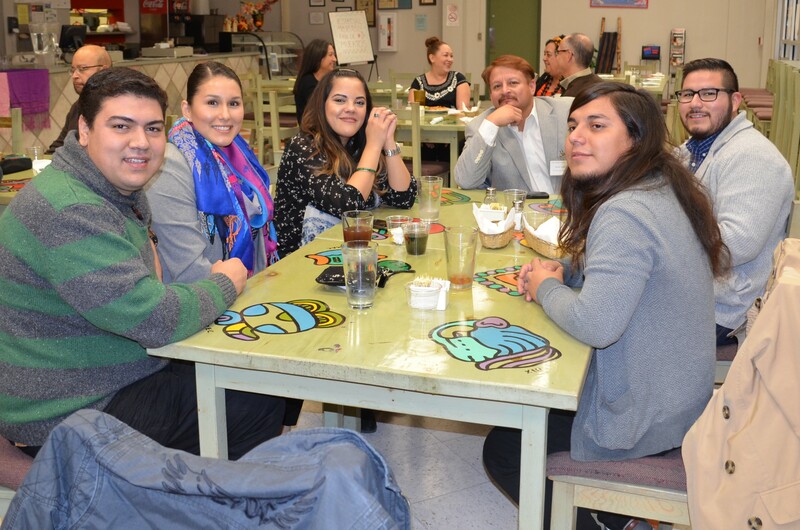 Mario T. Garcia, Fernando Saúl Alanís Enciso, and Cheryl Martin among others engaged with up and coming graduate students throughout the evening. After such a fabulous opening night, expectations were high for the following day full of panels. The conference organizers did not disappoint. Of course, I am partial to the first panel titled “Borders, Bodies, and the State” since I was on it and lucky to share the stage with two brilliant scholars Heather Sinclair (University of Texas at El Paso) and Julian Lim (Arizona State University). Sinclair’s essay connected Lytle Hernandez’s discussion of settler colonial theory as evidenced by mass incarceration of ethnic Mexicans with reproductive control and outright disregard for ethnic Mexican women’s reproductive care in the early twentieth century. By focusing on the city of El Paso’s laws reducing the number of practicing midwives and the refusal of public hospitals to care for laboring Mexican-origin women, Sinclair argues that this was a way to racialize the bodies of Mexican women and exclude them from proper care. Lim also offered an interesting new way to understand the persecution and movement of Mormon settlers from the turn of the century. Lim suggests immigration and refugee history can help to show the ways in which the U.S. produces refugees changing its status from a benevolent receiving country into one actively involved in the causing forced migration. My paper veered slightly from looking at contraception as a means of reproductive control and instead revealed the complex history of abortion along the U.S.-Mexico border in the late 1960s. The state sought to control women’s access to abortion in the United States so women sought refuge in Mexican border cities, helping to create a troubling underground economy of unregulated clinics where women could exercise power over their reproduction. Each paper foregrounded questions of state sponsored or state sanctioned control of bodies along the line. Monica Perales (University of Houston) offered comments and suggested we think about the significance of space and the racialization of space as we continued on in our research. It was a strong panel and they continued in this way as the day moved on. The following panel, “State Building in the Borderlands,” investigated the various state-building models that developed in this region from colonial times until the early twentieth century. Alonso Domínguez Rascón (Universidad Autónoma de Ciudad Juárez) examined the creation of presidios in the Spanish Borderlands, particularly in the West. Rascón maintained that for the various colonial leaders of those regions there was no “frontera” or border but many “fronteras” that contracted and expanded as they dealt with the many communities that sought to confront their power. Jesus De La Teja (Texas State University) described the making and dismantling of states in his paper on the union of Coahuila and Texas before the Texas Revolution. Rather than viewing the Texas Revolution as Anglo-Texans and against the Mexican central government, De La Teja posits that earlier disagreements between Coahuilans and their disregard for Texas representation helped to foster the separation that later occurred. In Jonathan Hill (City University of New York: Graduate Center) and Jaimes Ruiz’s (UTEP) presentations, both offered a vision of state building that sought to highlight infrastructure programs and the ideas of “auto colonización” of engineers and land developers that sought to make Northern Mexico more inhabitable and more modern. Hill discussed his recent archival trip to Mexico, and his interest in state-building projects, particularly the creation of electrical grids and hydroelectric plants. Ruiz discussed water infrastructures projects in places like Chihuahua. While they were heralded as massive state-sponsored projects celebrating modernity, in fact they were used mainly to foment further class divisions by allowing the wealthy to benefit almost exclusively from these water purification and drainage systems in the early twentieth century. Mario Garcia (UCSB) suggested his expertise as a Chicano historian could help the panelists think more broadly about the people in these spaces and how these different state building projects might inform populations. This panel not only discussed the various ways to incorporate Borderlands history and state building, but also showed how scholars from both sides of the line accentuate and deepen our understanding of state formation and power in the region. This panel was equally split with two panelists giving their papers in Spanish and the others in English. In many ways this was the beauty of this conference: the sincere attempt to incorporate binational histories and binational voices. Lunch came and went like a lightening flash. We were hungry and anxious to move out of our seats, talk with colleagues, and get in some quick face-to-face time with visiting borderlands professors. It was lovely to see folks from different institutions, students and scholars eating and mingling as they talked about their studies and the ways in which their topics related to each other’s projects. But before we could get too comfortable, the conference was back in action! The afternoon panels worked hard to keep us engaged and attentive (they succeeded!) after a hearty lunch and great conversation the third panel, “Movement, Migration, and the State” helped us to understand the significance of the border in relation to war, deportation, and the pressure of the state. Evan Rothera (Pennsylvania State University) discussed the ways the borderlands region served as refugee sanctuary not only for Unionists fleeing violence and persecution during the Civil War in the United States, but also during the French intervention in Mexico as people fled the capital and headed North. He talks about the state agents that sought relief for refugees on both sides of the line. Viridiana Fernández (UC Davis) asked pertinent questions about the role of nation-states along the border in relation to Apache and Comanche presence during the latter half of the twentieth century. As the Porfirian government took control of Mexico, Hernández suggests that violence along the border, by Mexican, American, and Indian forces on both sides of the line, forced the American government into reconsidering its stance toward Porfirio Diaz. Binational diplomacy was needed in order to address violent disruptions along the Mexican Northern and U.S. Southern border. Diana Irina Córdoba Ramírez (El Colegio de Mexico) looks at the studies of Ernesto Galarza and Woodrow Moore in the late 1950s and early 1960s to understand the ways in which the Bracero program evolved earlier in the century. She reveals the ways in which academic reports during this time evaluated the role of the state and how countless agricultural workers were denied state sponsored remuneration for their labors in the United States. Fernando Saúl Alanís Encisco (El Colegio de San Juis) revealed the position of Mexican citizens, in places like Ciudad Juárez, and their response to the mass deportation of Mexicans in the 1930s. Enciso suggests that Mexican citizens did not passively receive their deported compatriots, but actively rejected the treatment of ethnic Mexicans by American officials boycotting American goods and even deporting some American workers in the city. Yolanda Leyva (UTEP) presented her comments about the various topics discussed suggesting panelists to further investigate the ways people in the border evade state forces and the ways they fight back. There were no delays as we moved on to the final panel of the day titled “Challenging the State.” This excellent group of papers enhanced our understanding of state power and in many ways sought to answer questions posed by the last panel in discussing how communities and people evade the forces of the state. 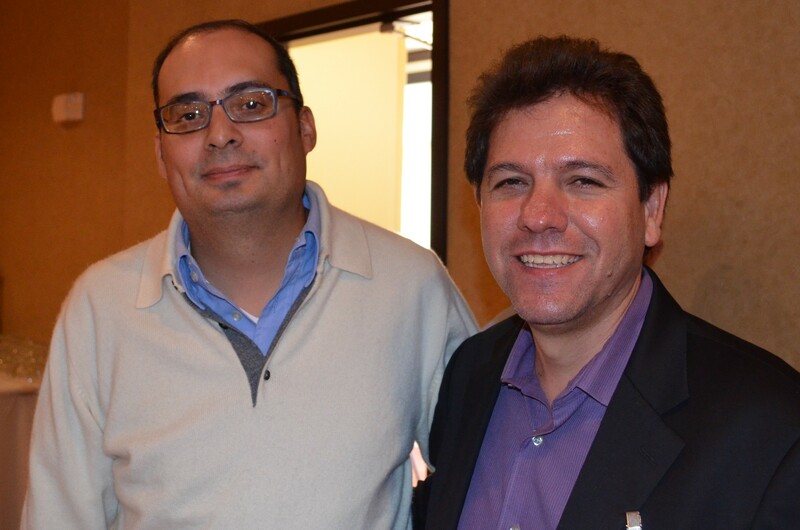 Manuel Ceballos Ramírez (Colegio de la Frontera Norte) offered a lively discussion on the history of what he called “Los dos Laredos,” Laredo, Texas and Nuevo Laredo, Tamaulipas. He argued that at the turn of the century various groups vied to determine the social and cultural direction of both cities, but he suggests that as “Americanizadores”, Mexico-Tejanos, and Mexican Progressives sought to inscribe the cities with their own ideals, residents continued to ignore the state imposed line between, speaking Spanish and sharing in cross-border celebrations. Diana Lizbeth Méndez Medina (Universidad Autónoma de Baja, California) proposed a different way to look at the Mexican government’s attempts to foster growth and expansion in its Northern territories during the economic expansion of Lazaro Cardenas. As viticulturists in Baja California sought raw materials for the expansion of the business in accordance with the economic expansion of Cardenas’ government, their business was confronted with the anti-alcohol campaigns that curtailed their efforts. The last panelist of the conference, Holly Karibo (Tarleton State University) looked at the rise of drug border enforcement in the 1950s with the creation of government committees in both the U.S. and Canada to investigate the matter. She describes the transnational discussions between states in order to curb the supposed traffic of illegal substances, but the relationship was unequal as the U.S. sought to criminalize the Mexican border and left Canadians feeling neglected as they struggled with traffic along their southern frontier. Joe Heyman (UTEP) suggested that these three papers helped us to understand contemporary discussions about state involvement in binational identity formation, capitalist expansion, and criminalization between and across borders. As we took one final moment to evaluate the long day of exciting research presented, we rearranged our chairs and sat attentively to enjoy the last comments of the conference. The toughest intellectual job of the conference was given to our newest UTEP faculty member Ignacio Martinez, who succinctly captured the various twists and turns in state building, state formation, and challenges to the state offered by the panelists. Martinez posited in his opening remarks that “the state was everywhere and nowhere in these papers.” While a singular definition of “the state” had proved illusive to some, he found great interest in the manifestation of the state as both an extension of governments and nations as well as of capitalists and reformers on both sides of the line. He also wondered how everyday people invested in state sanctioned projects acted as agents of the state and how those on the margins fought to fight such incursions from state officials. He carefully mined the papers presented—14 in total—for the contradictions in state power and for the weaknesses of the state agents. His keen analysis offered us further avenues of investigation and a continued focus on the power and debility of the state in the margins and on the borders. 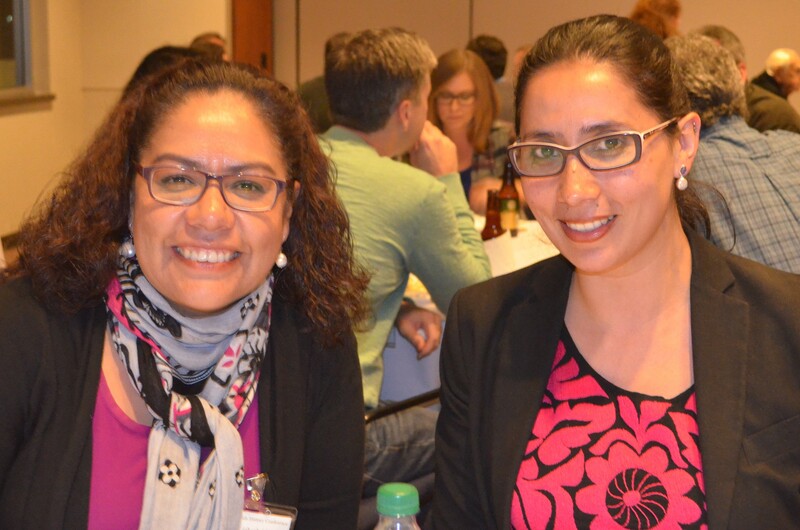 Some were anxious about our first venture into the world of conferences, but Heather Sinclair along with the fantastic committee from the History Department and assistance from the Graduate School completed a most successful binational, bilingual conference in the Borderlands. This was, indeed, a job well done. Attendees marveled at the attention to detail, from excellent food to simultaneous translation for every panel, given to different aspects of the conference. We all gathered in the lobby of the Hilton Garden Inn, University, as we prepared to drive off to our final destination and enjoy the fruits of our labor. 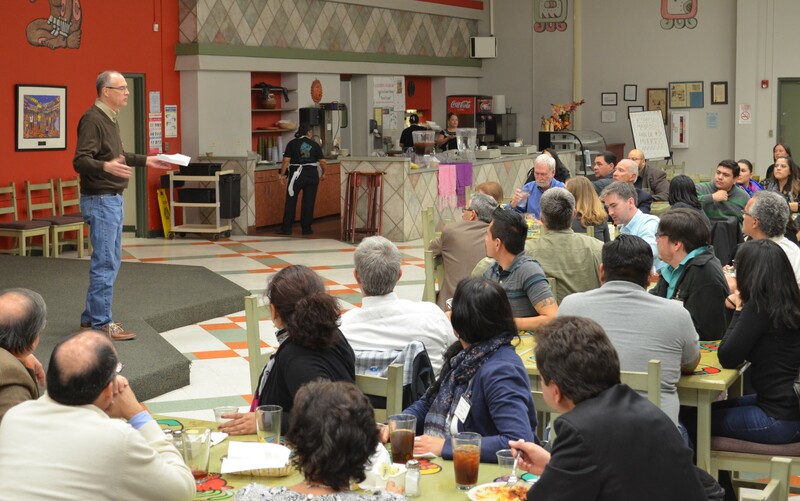 Café Mayapan, a staple in El Paso’s activist circles, was the location for our final communion. Sam Brunk directed the libation station as scholars and students—enthralled by the day’s activities—prepared for their last meal together. Under the direction of La Mujer Obrera, an independent organization created by both women garment workers and Chicana activists in the 1980s, Café Mayapan seeks to use food and communal space to further the independence and cultural resistance of women in this community. Lorena Andrade, the coordinator for our event, offered for our culinary enjoyment delicious plates of flautas, mole, and cerdo with fresh vegetables and rice. Sitting back with a fine vino in hand and reflecting on the intense day of panels, papers, and presenters, I thought about future conferences, themes for incorporating borderlands around the world, and theories that will develop as we continue to connect with scholars from different sides of the line.